In the rarified world of materials science, it’s not uncommon for twenty years to pass from the successful discovery and fabrication of a new material to its implementation in commercial applications. Dr. Orlando Rios and his team have been able to do it in less than three. As a scientist on the research staff at Oak Ridge National Laboratory and an associate professor in two programs at the University of Tennessee, Knoxville, Dr. Rios has established an outstanding scientific research record. He and his team have invented a whole new class of aluminum-cerium alloys that work in fundamentally different ways from all existing aluminum-based materials, offering designers and manufacturers entirely new opportunities in a number of different realms, particularly in the production of rare earth elements critical to electronics, alternative energy and other modern technologies. U.S. manufacturers have to import rare earth elements from across the globe because domestically mined rare earths contain large percentages of elements like cerium and lanthanum that have traditionally had little-to-no large-scale industrial value. That has made extracting and refining them impractical and unprofitable. Until now. This new class of aluminum-cerium alloys is already in use in highly-efficient low-speed hydro- power turbines, and major manufacturers including the auto industry are currently evaluating dozens of other immediate large scale applications. 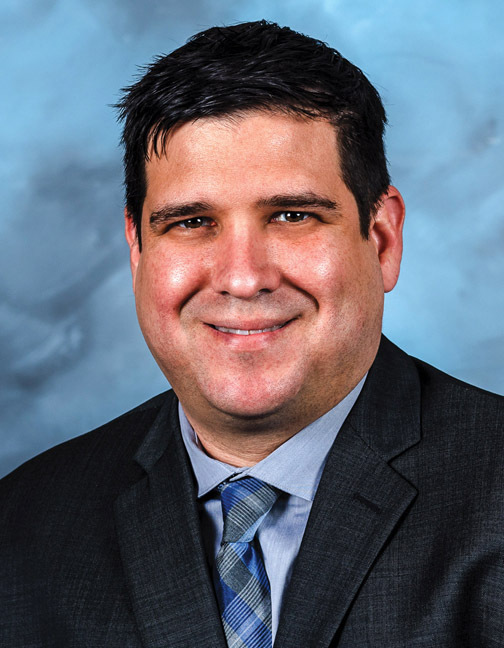 Dr. Rios’ development work on the new alloy earned a patent and has garnered multiple awards, including an R&D 100 Award from R&D Magazine, the Federal Lab Consortium Tech Transfer Award, and the TMS Light Materials Division Award. That discovery alone would be an enviable achievement for any materials researcher, but it’s only one of the many areas that Dr. Rios has explored, including thermomagnetic processing of materials for applications in energy conversion, drastically reducing energy use; the discovery and synthesis of magnets without rare-earth elements, which will mitigate supply challenges of rare-earth elements in critical energy and national defense technologies: as well as the development of novel bio-derived materials for energy storage devices, to enable the electrification of transportation and other portable electronic technologies. Born in New Jersey and raised in Miami, Dr. Rios first became interested in materials science through his interest in race cars. While working part-time as an undergraduate at the University of Florida, Gainesville in a garage that worked on the vehicles, he learned that for every thousand mechanical engineers in the racing field there was only one materials scientist. Knowing an opportunity when he saw one, Dr. Rios dove head-first into learning all he could, going on to earn both his master’s and doctorate degrees at the University of Florida. By 2009, he had become a Weinberg Fellow in the Materials Science and Technology Division of the Oak Ridge National Laboratory. When the fellowship was completed, Dr. Rios accepted a position as a research associate at ORNL. He was soon promoted to the R&D staff and became lead researcher covering multiple areas. Since then Dr. Rios has received a dozen patents for his work, with another 21 pending, and published 40 articles in peer-reviewed journals. A member of the Hispanic/Latino American Committee (HLAC) at ORNL, an employee resource group raising diversity awareness and supporting recruiting efforts, he is also highly active with TMS as a member of the Aluminum, Magnetic Materials, Diversity, and Diversity Awards Committees. In his free time, Dr. Rios enjoys hiking, biking, and traveling, as well as more exotic pursuits like alligator spear hunting in Florida.